We pride ourselves in having the best faculty in Scottsdale! CentreStage could not keep up with the friendly, fun, and outgoing atmosphere without these wonderful people. Our faculty works hard together to ensure each and every dancer at CentreStage is reaching more towards their dreams. 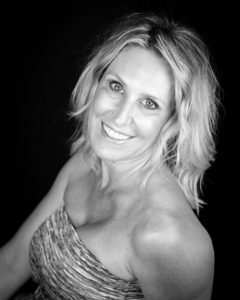 Jenny Cresswell is the owner of Centrestage Dance Studio, has had over 25 years of dance experience including: twenty years of teaching, four years of competitive gymnastics, member of the Midwest Ballet Company, and University of Nebraska cheer-dance squad. She has performed and studied internationally as well as assisted in directing half-time shows for the Hula Bowl, Holiday Bowl, Cotton Bowl and for the Macy’s Thanksgiving Day Parade. Jenny graduated from ASU,and was the head coach and choreographer for the Arizona Rattlers dance team, the Sidewinders, for 8 years. She has also created a dance line for Scottsale Community College and coached the Arcadia High School Varsity pom squad.Now, Centrestage Dance Studio, has her full focus, as teaching her students not only how to be wonderful dancers, but wonderful people…is her passion. Amanda was very excited to join CentreStage in the Summer of 2014. Amanda began her ballet training at the Royal Academy of Fine Arts in Houston TX, where she received her ballet instruction from Miroslov Bart and also trained in jazz, tap, and lyrical. She then attended one of the most prestigious ballet schools, The Kirov Academy of Ballet in Washington D.C., receiving her four year degree in Vaganova ballet training. Amanda was then offered a position to dance professionally with Ballet Arizona, where she was featured in many different ballets including Swan Lake, The Nutcracker, Cinderella, Sleeping Beauty, and many of Ib Anderson’s productions as well as Balanchine. 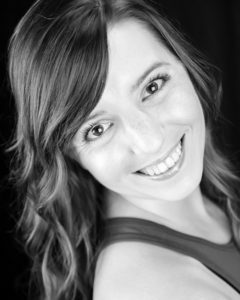 Amanda taught ballet across the valley for the past 5 years while attending Arizona State University to graduate with a degree in Accounting and is now happily the office manager/accountant for Centrestage Dance Studio. Sarah began dancing at the age of 13. She first began training within Arizona before relocating to Los Angeles to pursue various scholarship programs at world-renowned studios such Edge Performing Arts, Millennium, and Movement Lifestyle. Additionally, she has assisted on dance convention tours such as Hype, Co. Dance, and One Rhythm. After returning to Arizona, Sarah has taught and choreographed for multiple studios in the valley which has allowed her to share her love and passion for the art. She has been a member of the professional performance company Automatic Response since 2009 and currently works for AMP Dance Competition. Past credits include: Hip Hop International, Conversations of Lust, Goddess Concept, Danc’Inspriations, backup dancer for national recording artist Jasmine Hormez. Darci has been a part of Centrestage from the very beginning of her Dance training, she started out as a competitive Gymnast for 7 years where she placed for several different awards while gaining strength and flexibility. She then moved on to competing Cheer for 2 years when she decided she wanted to continue her technique and training in dance. 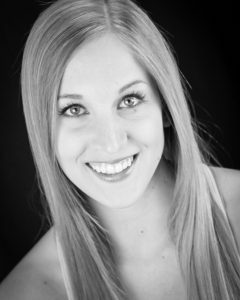 Darci joined Centrestage Passion Company for 3 years and has been teaching with us ever since. She is also a part of a professional dance company, Automatic Response where she performs locally. Darci is very excited to continue with us and is looking forward to a wonderful year. Jessica started dancing after seeing a live performance of the nutcracker at 8 years old. She started her training at a small studio tucked away in the suburbs of Houston. She enjoyed all types of dance and performing arts but was drawn to ballet in particular and after she got a bit older she decided to dedicate her time and energy into this fine art. Her Russian ballet coach Miroslav (Misha) Bart saw something in her and encouraged her to audition for the top ballet schools in America. She got into the top Russian ballet boarding school in the states with a scholarship, Kirov Academy of Ballet in Washington DC. She moved away from home at 15 years of age and for 3 years undergone intense training under top Russian prima ballerinas. 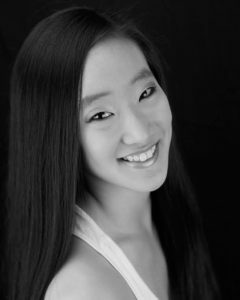 Upon graduating in 2009 she received an offer from Ballet Arizona. She danced for nearly 10 years with this company performing hundreds of shows and toured to New York City, Chicago and DC. She performed as a corps de ballet, soloist and principal in these years with BAZ. She is grateful to have made this dream as a little girl into a reality and feels a deep sense of purpose sharing and coaching children in this beautiful art form. She joined Centrestage in 2018 and is very grateful to be coaching children in ballet. Outside of ballet Jessica is a kundalini yoga teacher, holistic health coach, avid hiker, always learning and growing to reach her highest potential and most fulfilling life. David , His charisma and attention to the performing arts technique have awarded him dance work with Liza Minnelli, Aretha Franklin, Stevie Wonder, Diana Ross, Mya, Anastasia, OK GO, Big Bad Voodoo Daddies, Cirque Ingénue, Gloria Gaynor, and at the FIFA World Cup. David has landed television spots on DANCE MOMS (season 6 ), Across The Universe, VH1s Divas Live and VH1 Fashion Awards,TV promo for NBC SMASH, and a recurring spot on Saturday Night Live. He has trained with dance companies as Ballet Hispanico in New York, and Instincts in Los Angeles, David has taken time to lend his expertise to the next generation of dancers as guest teacher at Joffrey Ballet summer program, N.R.G Dance Convention, University of the Arts , Arizona State University, Temple University, P.A. Koresh Dance Company P.A, New School of the Arts High School, Metro Arts High School, Xavier prep high school dance team and Chaparral High School dance team A.Z. David is always looking for more outlets for his talent and was selected for print ads by iPod, VO5 hair products, Radar Magazine, Star Magazine, US Weekly Magazine and Sketchers Shoes across the world. His latest conquest has been fighting his way into the Broadway theatre community in New York City. His initial steps in that direction have already paid off with a spot in the Broadway show “AIDA”, the position of Asst. Choreographer/Asst. Dance Captain in the Broadway show “FAME on 42nd Street”. He has directed and choreographed for Golden Nugget Casino show room, Reno Nevada and is happy to be apart of LEAP dance competition. Karina Tinsley has been dancing since age 3! She was born and raised in Phoenix and currently live here with my husband and children. 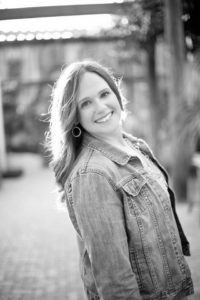 Karina completed an undergraduate education at Oregon State University in psychology with a graduate degrees from Noerthern Arizona University and Arizona State University in Developmental Psychology. During the day, Karina teaches in the Psychology Department at Glendale Community College. She has taught dance classes to a variety of ages for over 15 years including hip hop, jazz, and ballet. 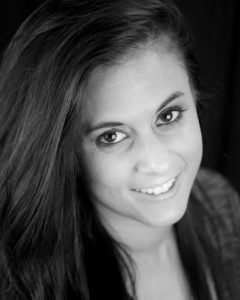 Currently, her at Centrestage she teaches Hip Hop/ Tumble and Darling Divas!